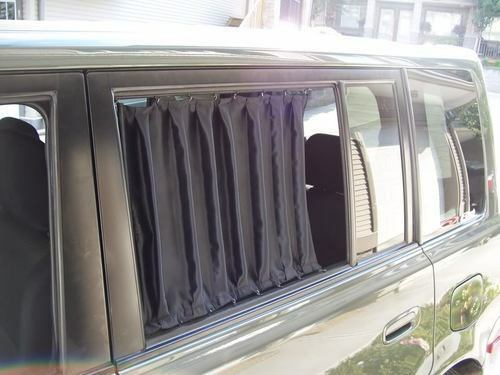 Our product range includes a wide range of Car Curtains and Side and Front Sunshade. We are amongst the eminent firms instrumental in providing a comprehensive array of Side and Front Sunshade. To design these products, we are supported by a team of our skilled workers who posses years of knowledge in their concerned fields. Being a quality oriented firm; we test these products upon several parameters in tune with the set industrial standards to provide utmost satisfaction. Clients can avail these according to their varied needs. We are a commended name involved in offering a superior quality range of Side and Front Sunshade. The offered range is designed using finest grade raw material and modern technology in compliance with the set industrial standards. In order to ensure quality, the complete range is strictly tested on different parameters by our quality checkers. Keeping in mind the varied requirements of our clients, we provide this sunshade in diverse sizes and specifications at affordable prices. Our offered Side and Front Sunshade is most effectual against dangerous UV rays of sun. Our sunshades also offer protection from glare as well as heat. Our range of technologically superior shades is presented in some attributes including resistance against static electricity, fire resistance and others as well. Our range is offered at market leading prices.